Founded in 1976 by the Karnes family in Trinity, Texas, Trinity Steel Fabricators has grown to become an international player in the construction industry by fostering a culture of quality and customer service. Focusing solely on the industrial structural steel segment has allowed our staff to achieve expert status. With industry tenure comes a high degree of competence and an ability to optimize construction plans before steel even reaches the job site. Our certifications by the American Institute of Steel Contractors, and the City of Los Angeles are the result of rigorous adherence to quality standards and an intense pride in workmanship. Our steel can be found on several continents and in several industry segments. 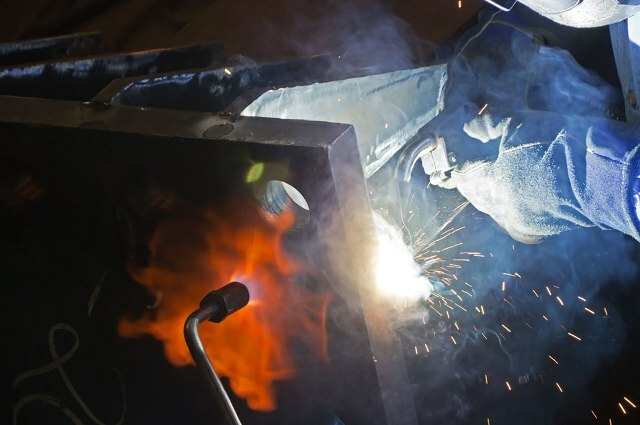 We participate in steel fabrication for petrochemical, mining, petroleum refining, power and other industrial environments, whether the requirements are major CAPEX infrastructure additions or small repairs and upgrades. We have shipped steel to West Africa and the Middle East. We have executed projects of significant size for Fluor, Foster Wheeler, Worley Parsons, Samsung, Jacobs, Mustang, Turner and RDS, just to name a few. We operate four fabrication facilities near Houston, Texas. With significant CNC tooling in place since 2008, these facilities are capable of producing as much as 2,500 tons per month of structural steel, making us the largest independent fabricator in the market we serve.